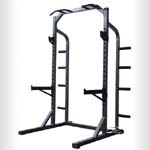 Strength equipment is best for muscle gain. 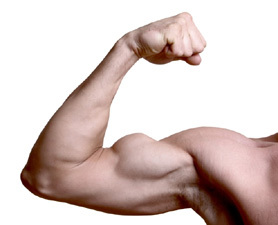 To build muscle mass, you need to undertake an intensive program of weight-bearing exercises. "Pumping weights" as they say. 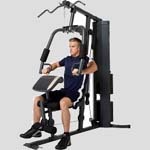 This is commonly done using "free weights" equipment (such as weight benches and dumbells) or "home gyms" (where the weights are tied onto the machine). Click a link below to see more options in that category. Or Click Here to see our full range of fitness products for sale online.